Do you want your names and date in the sky? -Or just the date as pictured? 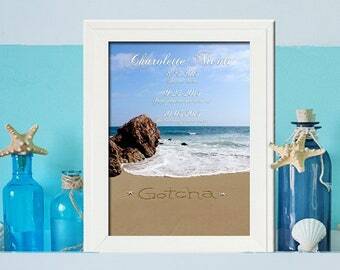 This fine art print makes a unique adoption gift for that family's dreams who just came true! Or if you are celebrating gotcha day give the gift that gives back to your spouse, friend, or family! 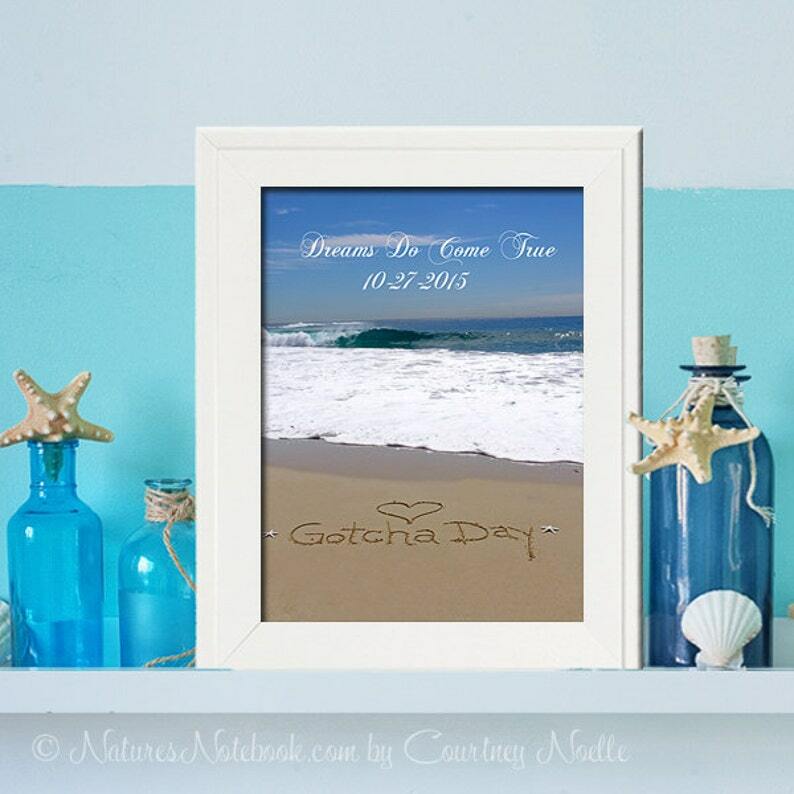 This adorable adoption fine art print has the words "Gotcha Day" written in the sand on a beautiful day by me :) The words are accented with a heart and starfish. When I was at the beach the sun was shining and the waves hitting the shore just perfectly! I will add wording to this beautiful photograph with your Gotcha Day in the sky. I can also add your names if you wish, just let me know in check out. ●15% Will go to the Never Alone Foundation to help bridge the financial gap to assist parents in bringing orphaned children home. This is going to such a good cause. ● This fine art photograph will be printed on professional acid-free photographic paper using archival inks. The paper has a luster finish, and is simply stunning! ● Viola that's it! It will be on it's way to you soon. If you want to order it framed, or as canvas or any other option, please convo me. Wishing you waves of happiness and oceans of love!